Terrorism is up in the Jordan River Valley, a strategically valuable region once known as a hotbed of Jordanian terror. There has been an increase in terrorism in the Jordan River Valley over the past six months, according to senior IDF officers who spoke to the military magazine B'Machaneh. Most of the new terror incidents appear to be relatively uncoordinated, they said. Many of the new attacks involved placing large stones along Highway 90. The makeshift stone barriers could cause a car to flip over, injuring its passengers, or could force the vehicle to a halt, allowing terrorists hiding nearby to attack. The strategy has also been used in areas of Judea and Samaria to the west. The frequency at which terrorists have put up stone roadblocks increased by a factor of four in 2010 compared to 2009, officers said. Five such snares for drivers were set up last week, and caused damage to vehicles. There are other forms of terrorist attack as well. Terrorists have thrown firebombs and large stones at soldiers in the region with increasing frequency, Eisner said. In order to fight the phenomenon, soldiers are increasing their activities in the region, and have met with village leaders to warn them of the potential consequences of an increase in terror in the region. “Most chances are that the people putting up the roadblocks are not Palestinians living in the Jordan River Valley, but rather, those who come from elsewhere but work and sleep in the area,” said Eisner. The Jordan River Valley is a strategically valuable area seen by successive military leaders as crucial in protecting Israel against possible attacks from the east. The region fell to Jordan in 1948 and was recaptured by Israel in the Six Day War. For many years the valley was a hotbed of terrorism, and became known as Eretz Hamirdafim (lit. “The Land of Pursuit”) for the frequent IDF chases after infiltrating Jordanian terrorists. 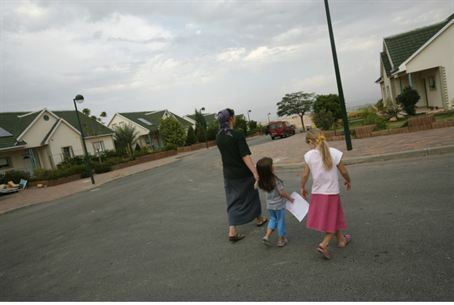 The region has a clear Jewish majority outside the city of Jericho. Around 11,000 Israelis live in the region, many of them farmers, while only a handful of Bedouin villages are located in the arid area.